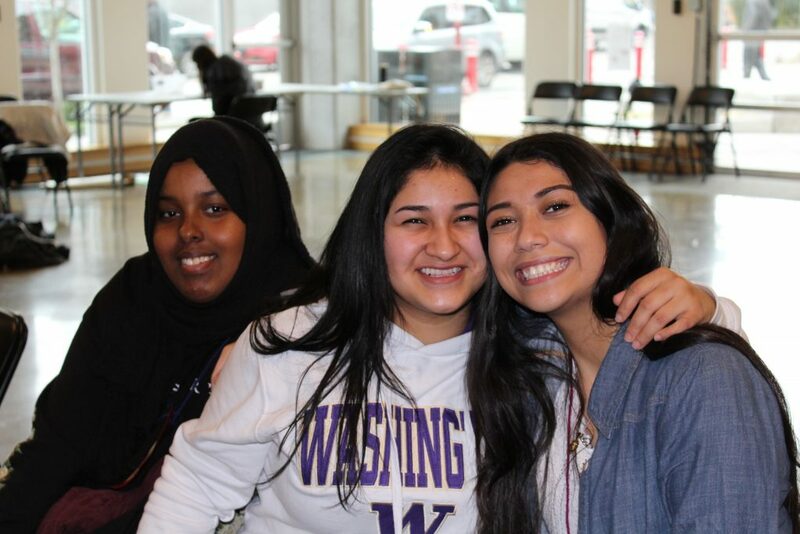 Y-WE’s mentorship and empowerment programs serve diverse young women, ages 13-24, and adult women mentors in the greater Seattle area. Of current Y-WE youth, 60% are first or second generation immigrants, 80% are of color and 90% are from low-income backgrounds. Y-WE is majority women-of-color-led, and we excel at creating meaningful engagement through culturally relevant programs supported by committed mentors. The diversity of the Y-WE community includes differences in race, culture, religion, sexual orientation, socioeconomic status, immigration status, physical ability, life experience, family status and living circumstances. We center young women who often lack access to leadership programs. For us this means centering participants who are of color; from immigrant communities; from low-income backgrounds; and who identify as LGBTQIA. Our engaged and passionate community of staff, Board members, mentors, volunteers, teaching artists and collaborators work together to ensure that Y-WE thrives and benefits young women today and in the future. 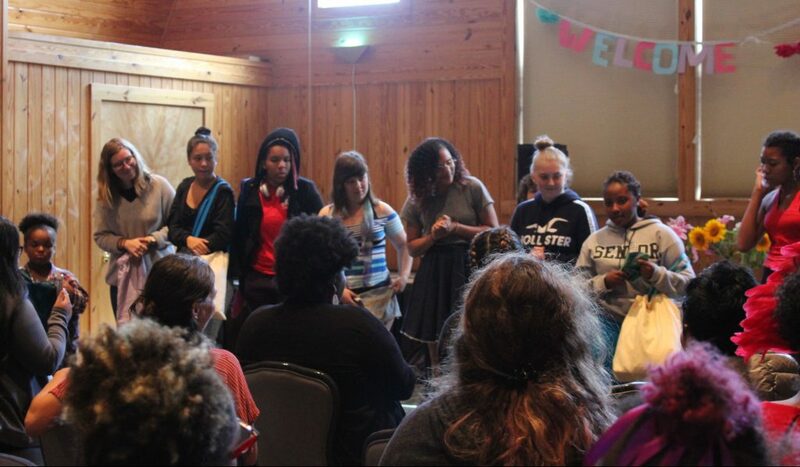 Y-WE programs foster leadership development as young women explore education, community, health and self-care, career, creative arts, culture, social change and the environment. Each year, our programs directly serve 700+ girls and women and benefit 2,000+ community members. We cultivate courage in community as we work together to transform our culture. To learn more, watch our video “How did Y-WE begin and what do we do?” on our Videos Page. Y-WE was born out of the enthusiasm and determination of the young women we serve. We offered a seven-month pilot leadership program in 2010. It was so successful that the girls, mentors, teachers and youth workers who participated in that pilot banded together to form an organization that would offer year-round programs for girls and women. We have grown rapidly since then. After generous initial fiscal sponsorship by Partners for Youth Empowerment (PYE Global), since 2015 we have operated as an independent 501(c)(3) non-profit organization (EIN # 47-2230647). Many young women in the Seattle area suffer a lack of access and face cultural barriers to empowerment and life success. Y-WE’s young women face systematic inequity and current increased hostility and threats. There is right now an urgent need – and an inspiring opportunity – to lift up the voices of young women. Research shows that girls’ self-confidence peaks at age nine, then drops significantly as girls advance through high school. Gender inequity is substantial in many fields. There is a pressing need for mentor-based learning and leadership programs that center marginalized young women and offer practical resources for resiliency. 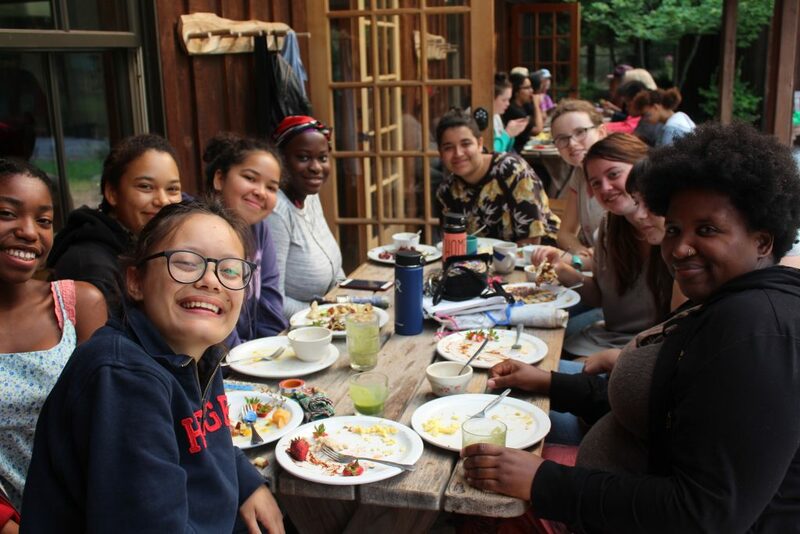 Y-WE plays a vital role for young women during a stage of life when they are moving toward adulthood, identifying college and career interests, and exploring ways to take action as community changemakers. Our programs link racial injustice to environmental and economic injustice, as well as patriarchy and homophobia. We interrogate pervasive assumptions of racism and sexism while exploring the power of creative dialogue and action to deepen our lives as global citizens, connected to each other. We create healing community space that welcomes the lived experience of our diverse participants. Access. We offer programs free of charge, and we invite families to contribute as they are able. Y-WE provides scholarships, safety, cultural respect, transportation and meals for all programs. Engaged mentorship. A rich sense of community grows as adult women mentors participate in program activities alongside young women. Mentors model positive risk-taking and a willingness to be transformed. Finding one’s voice. Young women develop confident self-expression and mutual understanding through creative workshops, trainings, and community conversations. Youth learn to speak about their beliefs and find ways to help their communities. Social and emotional learning (SEL). Y-WE integrates the five SEL core competencies (e.g. self-awareness, social awareness, relationship skills) that research links to academic and life success. Young women’s leadership. Young women develop leadership skills as they plan and lead workshops and community events, and shape program development. Training addresses topics such as public speaking, advocacy,institutional power and facilitation skills. Creative Empowerment Model. Our facilitation methodology is strongly influenced by Partners for Youth Empowerment’s world-renowned Creative Empowerment Model, which unlocks the power and potential of young people through arts-based learning. Intergenerational and intercultural understanding. Y-WE activities unfold in a supportive community of girls and women from many countries, cultures and religions. We actively explore and learn from each other’s backgrounds and experiences. Healing in community. Participants cultivate physical and emotional well-being and resiliency through individual and collective practices, activities and workshops. We work to understand and address individual and collective trauma. Within Y-WE’s community of belonging, young women find their voices, explore possibilities, and emerge as vibrant changemakers. For more information, please contact us at info@y-we.org. We’d love to hear from you!